Taylor Wiseman & Taylor provided surveying, engineering, landscape design, environmental assessment/permitting and construction management services to the Division of Parks and Forestry through the Department of Treasury, Division of Property Management and Construction on this project. 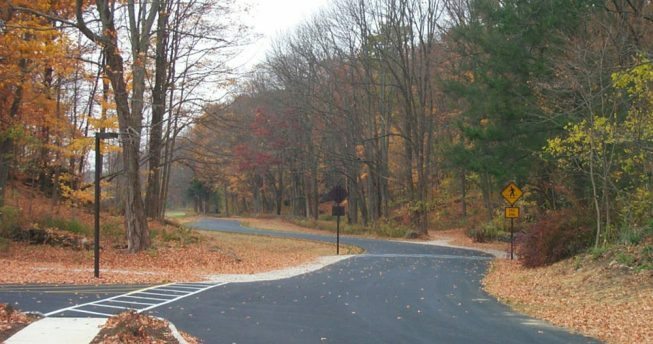 Construction was completed on the new entrance road for Kittatinny Valley State Park, located in Andover, Sussex County, New Jersey. The one-half mile of roadway takes visitors into one of New Jersey’s newest state parks, acquired in 1994. 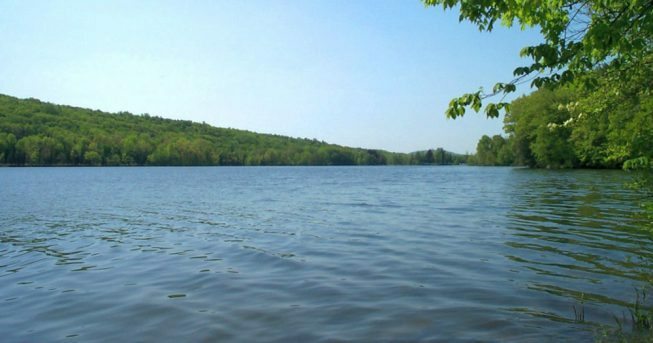 The entrance road provides access to 117-acre Lake Aeroflex and 39-acre Gardner’s Pond which are part of the headwaters of the Pequest River, and are excellent for fishing and boating. The project employed context sensitive design techniques so as not to disturb the natural beauty of the area through which the road passes. Its winding layout provides visitors with a variety of scenic views as they enter the park, while discouraging excessive speed. The road sweeps drivers around a great meadow and past other natural features of note before bringing them into view of the park office, which was relocated to the refurbished manor house.